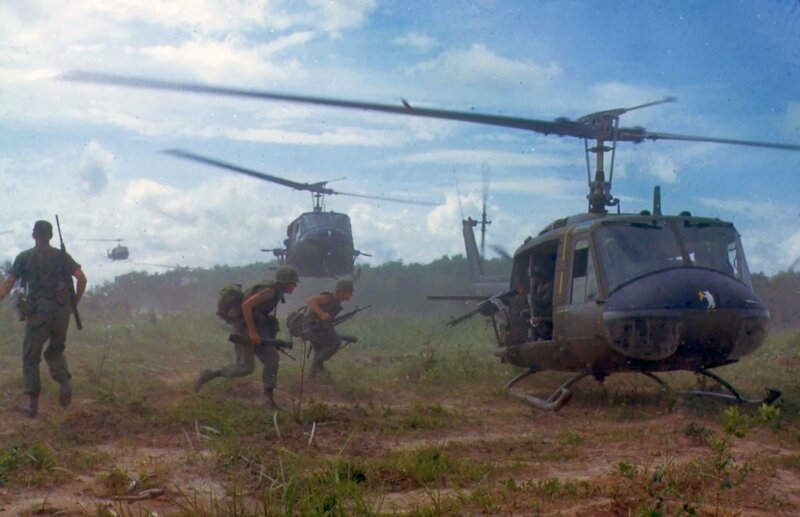 The Vietnam War was a long, dark period in American military history. Primarily a conflict between North and South Vietnam, and by proxy the communist and anti-communist allies, this 20 year conflict came at the cost of 3 million human lives, most of them civilian. U.S. involvement began in 1954 and ended when Nixon ordered the withdrawal of U.S. forces in 1973. For enthusiasts of mechanical watches and military history, this period of time produced a plethora of interesting military watches with real historical provenance. 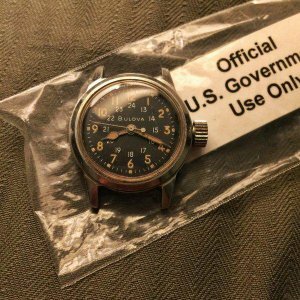 From the mil-spec field watches produced by Bulova, Elgin and Benrus to the civilian dive and pilot watches acquired by troops at Post Exchanges (PXs) – there are more interesting watches here than can be covered in one blog post. Most of the mil-spec watches produced during this time period were “non-maintainable”, or essentially disposable. 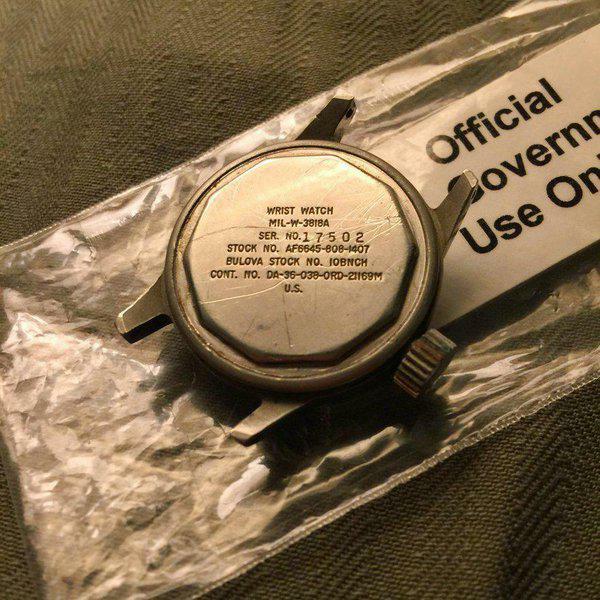 They were designed to last for two years and be replaced after failure. 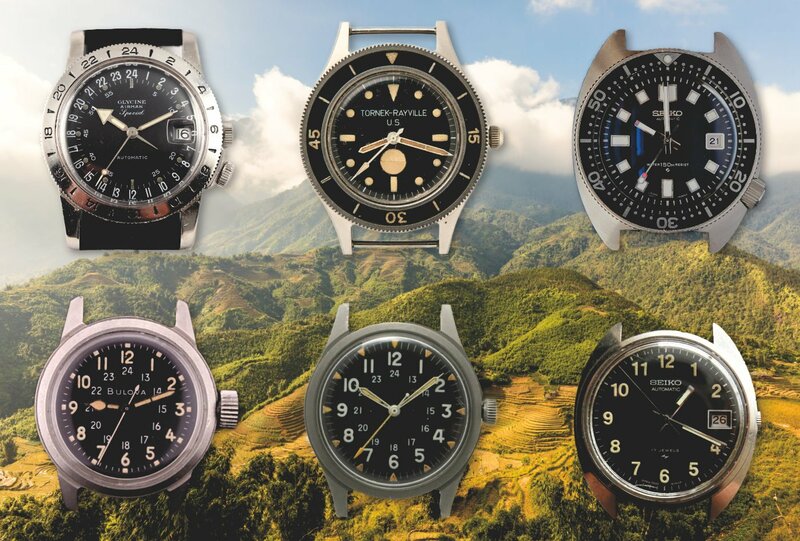 Considering the rigors of combat that these watches were subjected to, it’s a miracle that any of them survived at all. 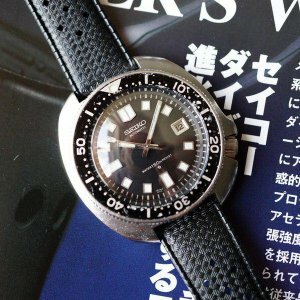 Since military-spec watches were not universally issued to troops, many serviceman acquired their own personal watches during R&R at one of the foreign military bases. Seiko watches in particular were incredibly popular, being both relative affordable and unobtainable in the U.S., it was common to see a Japanese dive or field watch on the wrist of an American service member. 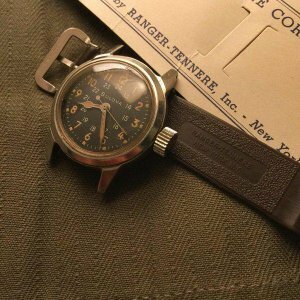 This article will cover the primary watches issued by the U.S. government during the war as well as a few of the popular civilian models acquired by troops abroad. 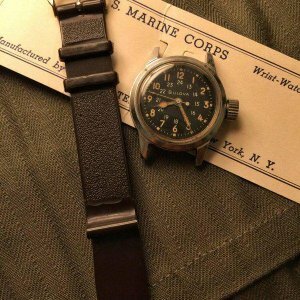 The first military issued watches to see action in Vietnam were developed per the MIL-W-3818A standard and fulfilled by Bulova and Elgin. 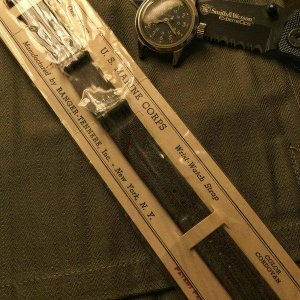 These watches were an evolution of the A17 navigation watch developed during WW2 and were issued to Green Berets and Special Forces. The watch design is a transitional model, sharing the plain arabic numbers and 24-hour dial of modern field watches with the more ornate cathedral handset found in watches from WW2 and WW1. There is some confusion between this watch and the Bulova A17A, as they both look almost identical from the outside. 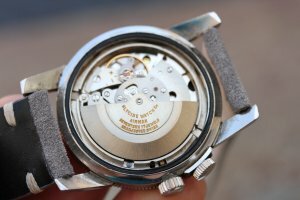 The primary difference between them is the movement inside, with the latter containing a more accurate 17-jewel movement (as opposed to a 15 jewel movement). From a collector stand-point, the A17A is more desirable, just be on the look out for A17-A cases fitted with MIL-W-3818A movements. 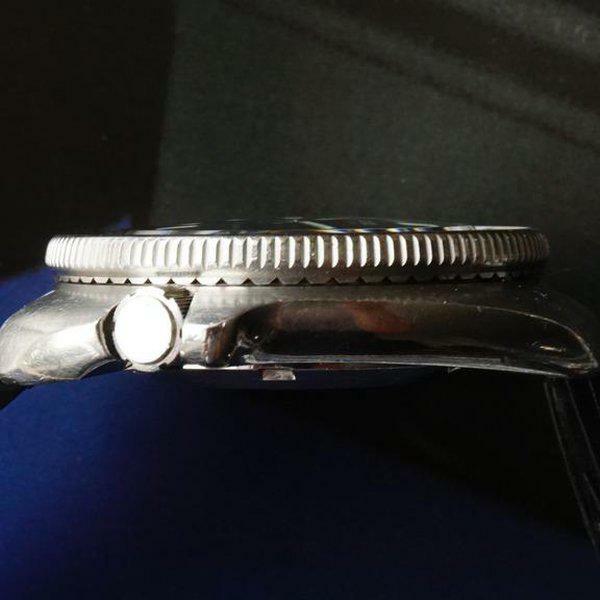 This specific watch contains the Bulova 10BNCH movement. 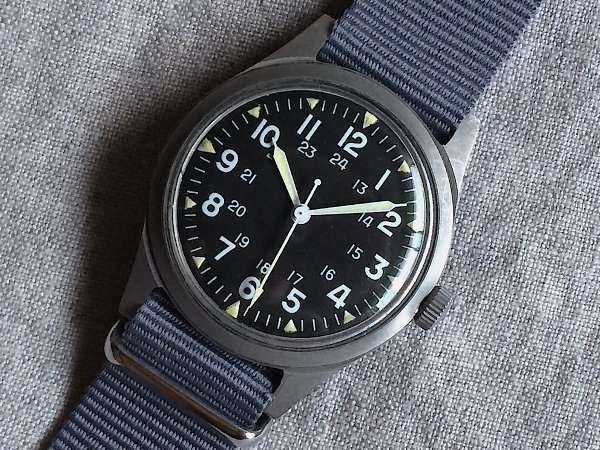 Although most manufacturers simply modified movements used in civilian models to meet military specifications, it appears that this engine was built specifically for this watch. Although Bulova watches performed well for U.S. military, their contract was lost to Benrus in 1962 when the military updated their specification to MIL-W-3818B. 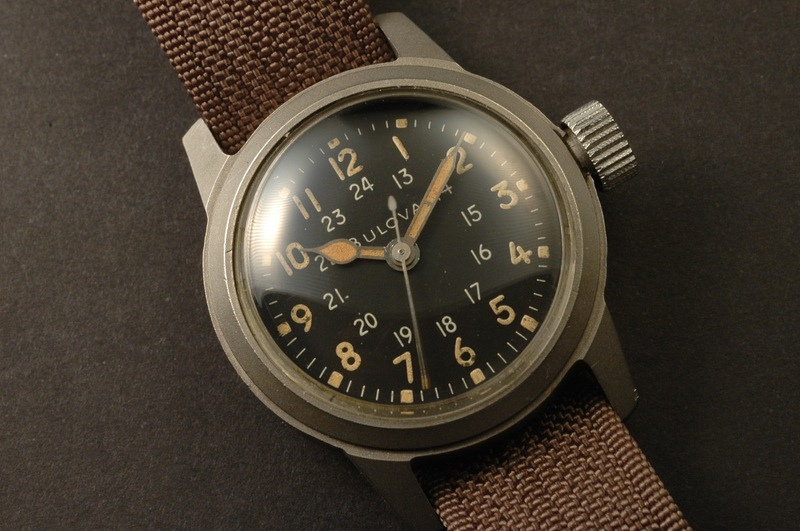 Bulova submitted prototypes to the department of defense for an updated model, but only the Benrus DTU-2A/P passed and the contract was subsequently lost. Amongst the official government issued military watches, the Benrus DTU-2A/P was the first to be issued per the new MIL-W-3818B standard. 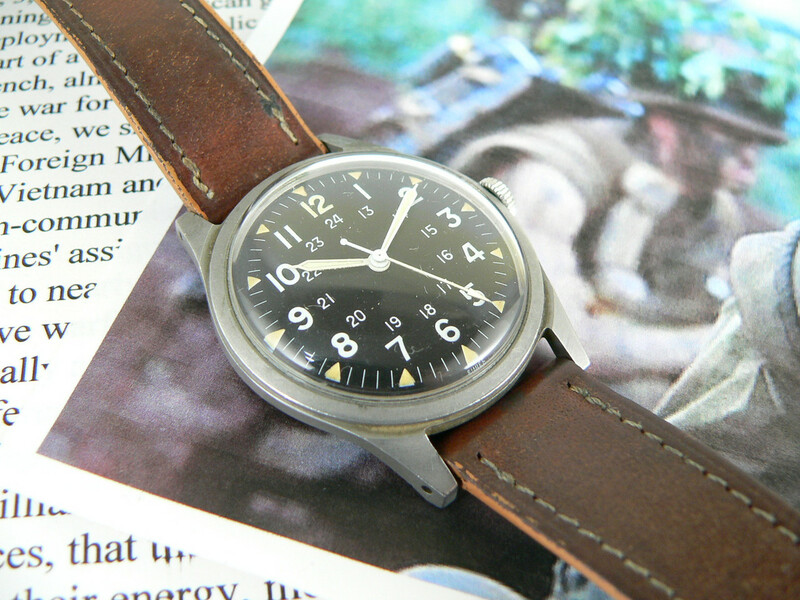 As a precursor to the GG-W-113 and evolution of the A-11, this little field watch became the template for all military field watches in the modern era. 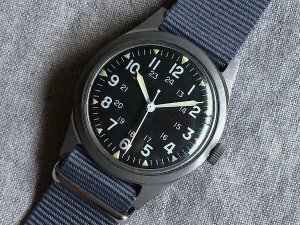 Its simple black face, with arabic numbers and a 24 hour inner-track, has become a recognizable hallmark for almost all future field watch designs. 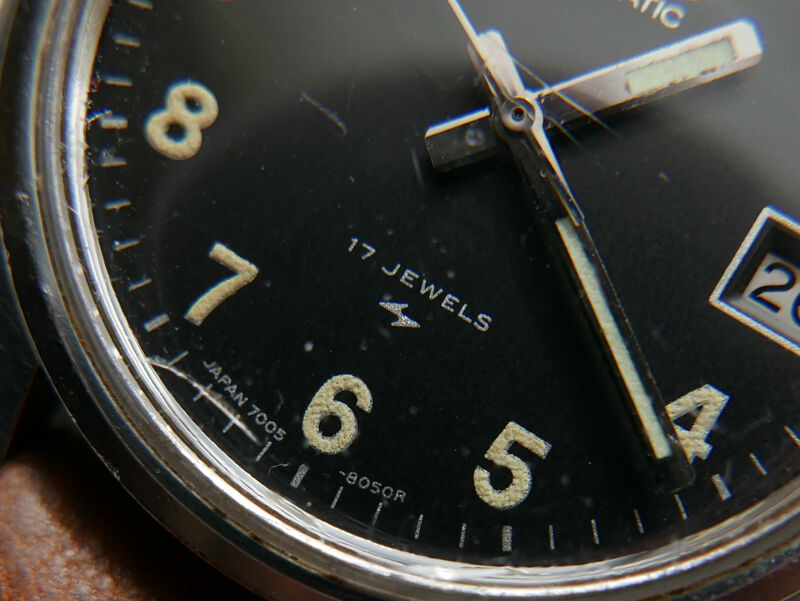 Although other companies such as Longines-Wittnauer, Mathey-Tissot, Bulova, and Clinton submitted prototypes to the Department of Defense for testing, only the Benrus model passed the rigorous standards for the new specification. 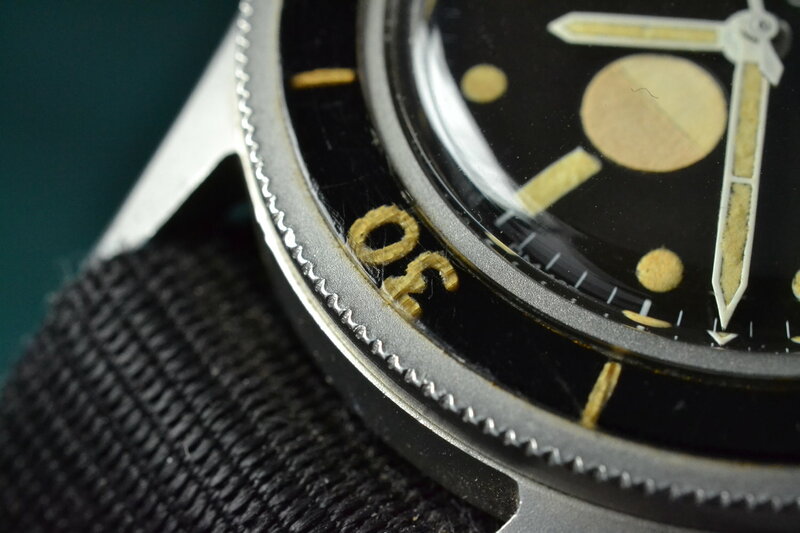 It was subsequently supplied to military personnel between 1964 and 1969. A unique feature of the Benrus DTU-2A/P is the use of traditional spring bars instead of the fixed lugs found on most military models. 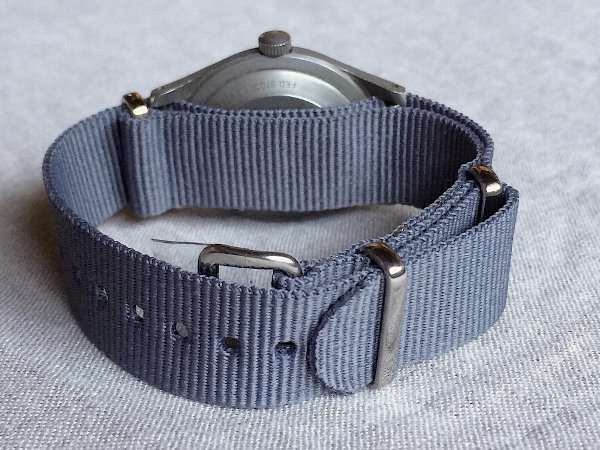 This allowed it to be worn on a variety of two-piece or single-piece straps instead of being constrained to a NATO. Inside the watch the a Benrus Calibre DR 2F2, a hand-wound 17-jewel movement based on the ETA cal. 2370. Benrus modified the movement to include a simple hacking mechanism to adhere to military specification. 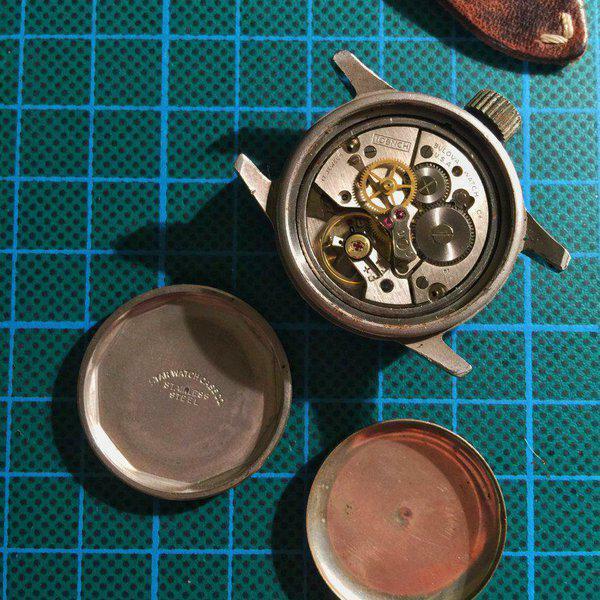 Like many other military watches, the movement is housed inside of a one-piece case that must be serviced through the crystal of the watch. 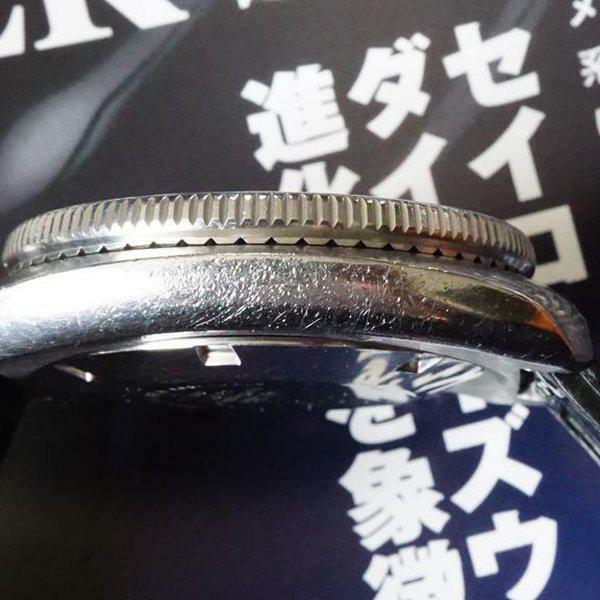 Although it added a bit of work for the watchmaker, the one-piece case greatly improved water resistance by reducing the number of intrusion points in the case. 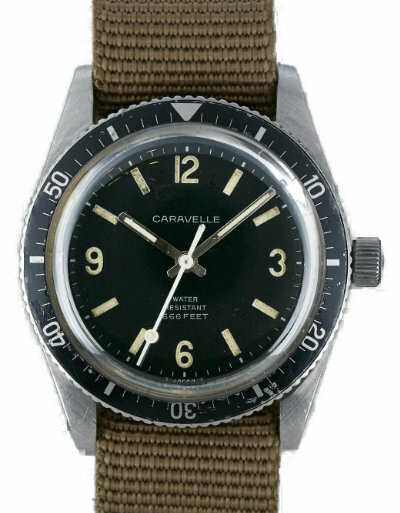 Commissioned by the U.S. Navy in 1960, the Tornek-Rayville TR-900 was worn by Naval infantryman on recon missions in the Mekong Delta. An incredibly rare American Mil-Sub, it is reported that only 1000 of these watches were ever produced. To make matters worse, most of these watches were destroyed by the Navy upon their return due to strict hazardous waste disposal rules for equipment containing radioactive material. 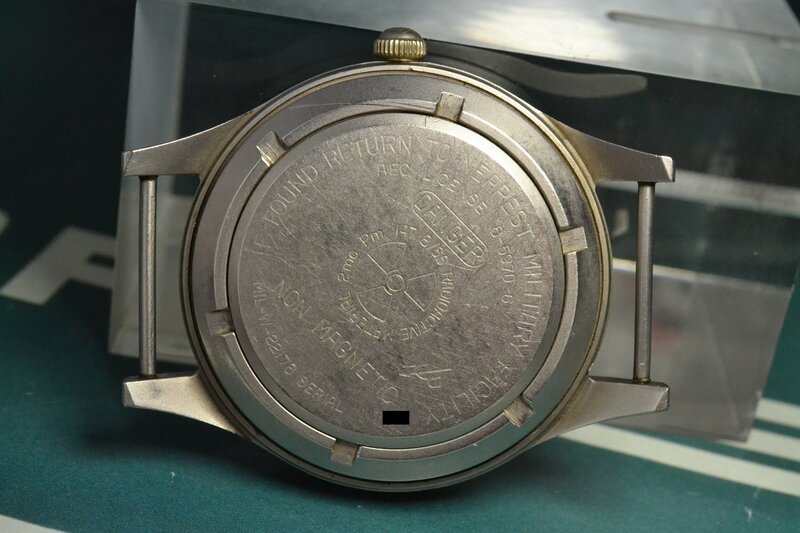 The caseback ominously reads “If found return to nearest military facility” – a neat little detail that portended their eventual fate. 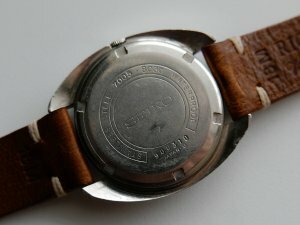 It’s thought that only around 40 of these watches currently exist in the collector community. 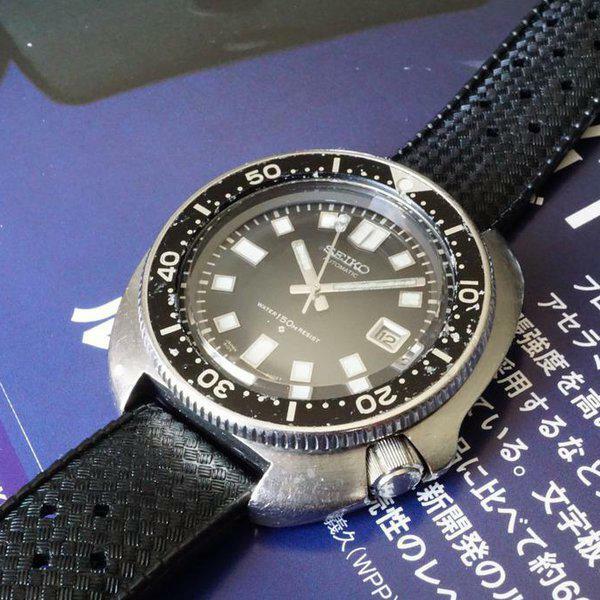 It’s visual similarity to the Blancpain Fifty Fathoms is no coincidence. 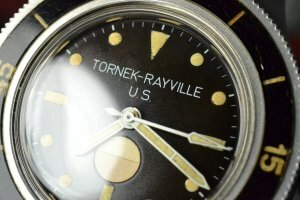 Allen Tornek, who was then importing watches from Rayville Watch Company and manufacturing watches under the Blancpain name, took over the contract and utilized the Fifty-Fathoms design as the starting point for the TR-900. A shrewd business move designed to sidestep foreign import restrictions to the U.S, to be sure. It is also widely reported that the underlying technology of this watch was developed primarily by Bulova, with minor modifications made by Tornek to bring the watch to military spec. Some unique aspects of this watch include the moisture intrusion indicator on the dial, which changed color if water penetrated the case. 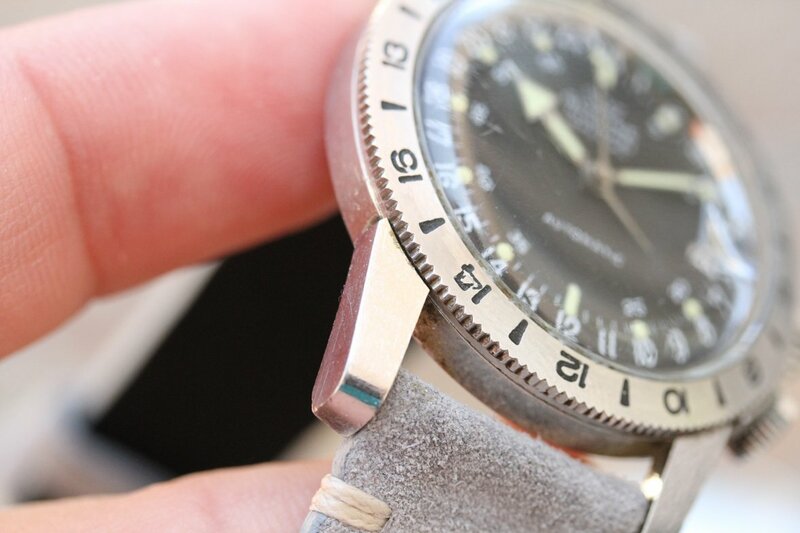 The luminous material on the watch was also painted with promethium instead of tritium. 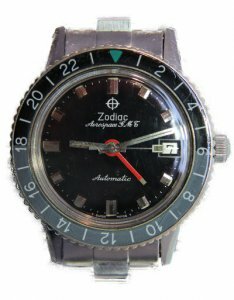 It was less radioactive than the former, but had a shorter half-life, rendering the watch useless at night after a few short years. 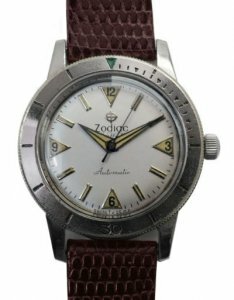 Because of the rarity and historical significance of these pieces, acquiring one is most likely out of range for most casual collectors. 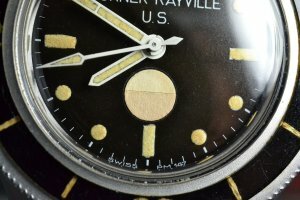 Prices of over $100k at auction are not unusual. 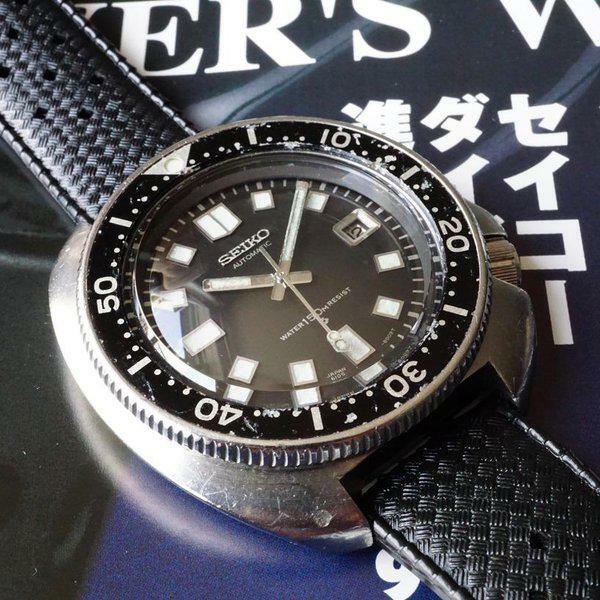 With that said, there are a handful of homage watches with similar looks that can be had affordably, like the Seiko Fifty-Fathoms mod, the MWW Iconik 3, or the Helson Skindiver. 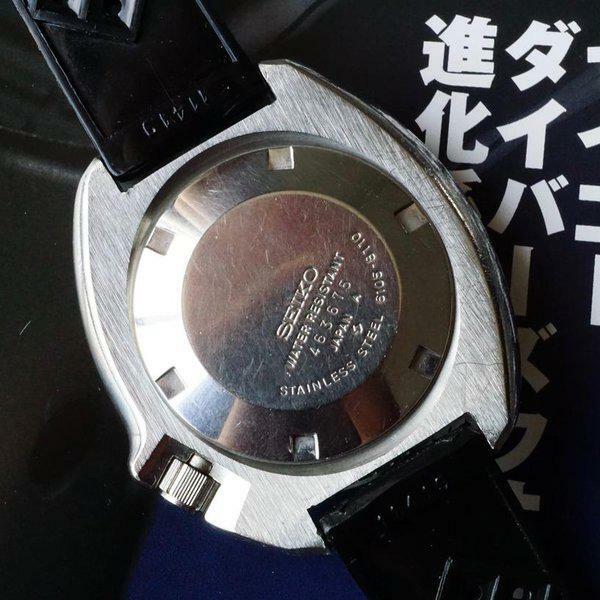 This watch isn’t supposed to exist. The 7005-8030 (along with the 6619-8060 and 6119-8100) are some of the most interesting U.S. military watches I’ve come across to date. According to a book called “Running Recon” by Frank Greco, these Seikos played a pivotal role in the U.S Special Operations Group (SOG) during the Vietnam War. 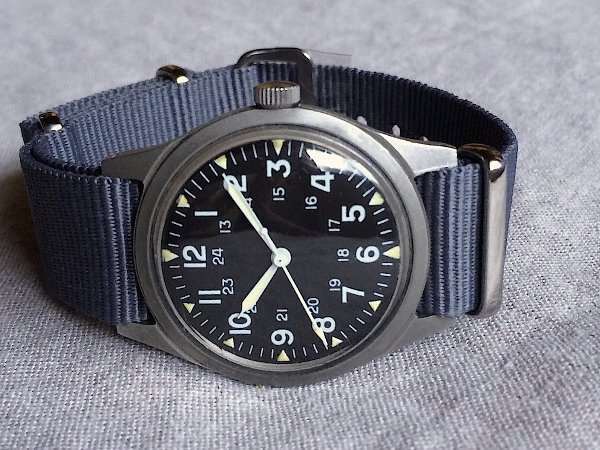 Although not produced specifically for the U.S. military, these Seikos were said to be purchased in-bulk from the manufacturer by Ben Baker, department head of the U.S. Counter Insurgency Support Office (CISO), and issued directly to SOG serviceman. Because of the sensitive nature of SOG operations, it was a requirement that all military issued equipment was completely free of any markings that would identify a fallen soldier as American. 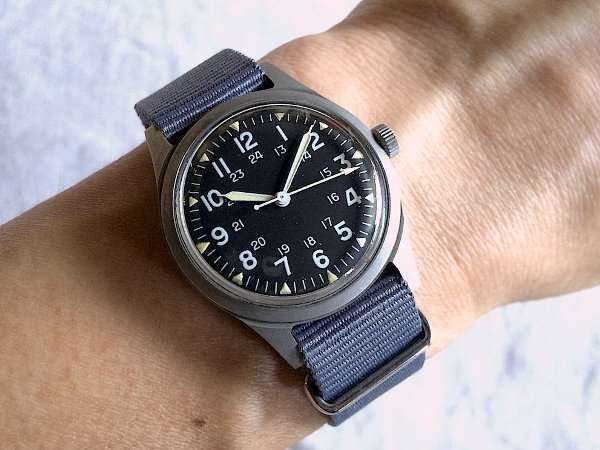 This made the watch an excellent choice as a field watch that lent itself to complete anonymity – while maintaining the classic look of an American military field watch. In 1972, this covert group was ordered to disband. All the unit’s official records — after-action reports, photographs, negatives and intelligence reports and records — were to be burned. 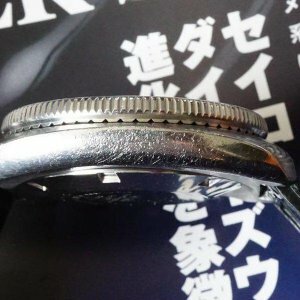 This makes finding any real information surrounding the activity of this unit about as difficult as finding a Seiko SOG watch in working condition. Although it’s widely believed that the U.S. military issued watches to all of its personnel, the truth is it just wasn’t that common. Watches were provided mostly to U.S Air Force pilots and other troops with critical specializations. For others, obtaining a watch was left as an exercise in spending their own personal time and money. 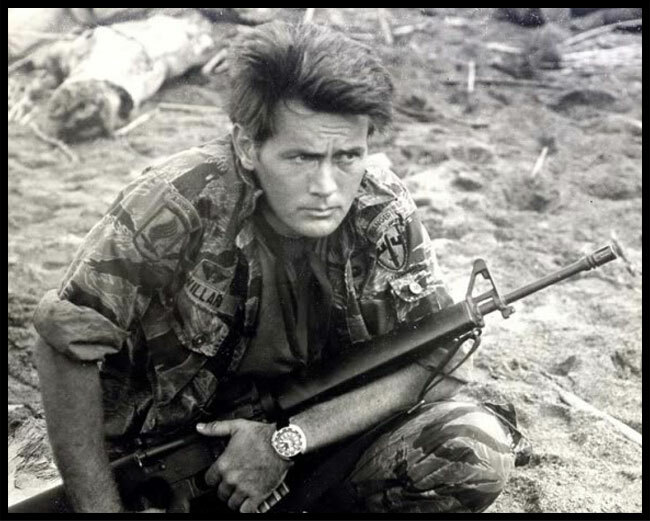 And even then, spending a month or two of a soldier’s salary on a single piece of equipment wasn’t that appealing – especially when there were cigarettes and whiskey to buy. 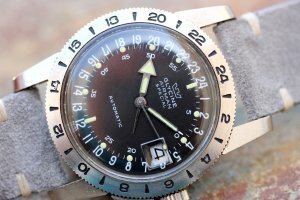 Most troops during the Vietnam era acquired their own watches at the Post Exchanges (PX), a retail store found on most US military installations. Known as “R&R” watches by the collector community, these were watches that were worn by troops in off-duty situations as well as in active combat. 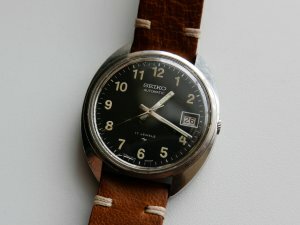 Even though they weren’t produced to military specification, many of these watches were relied upon in critical military situations and built up a solid reputation amongst the troops. 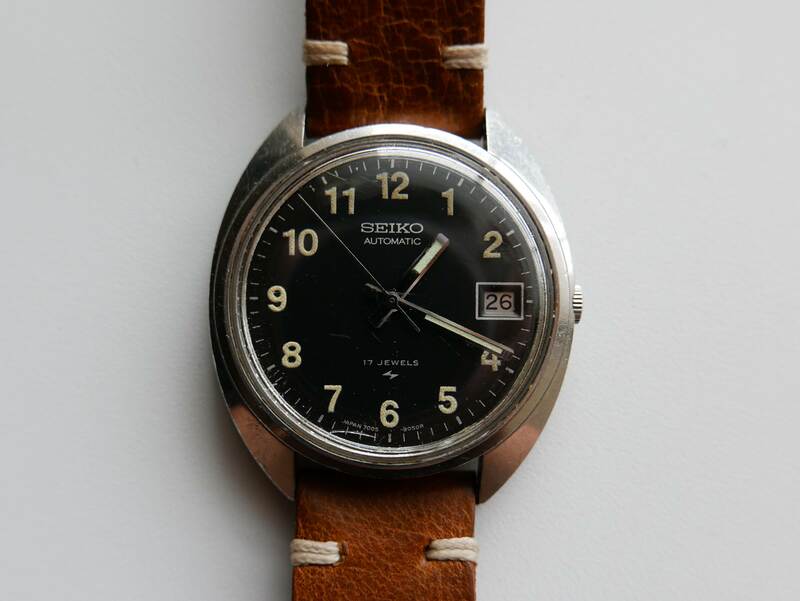 Below are a few of the most popular “R&R” watches worn by U.S. troops during the Vietnam War. There were many more to be sure, but I wanted to focus on the watches that I felt were most noteworthy. 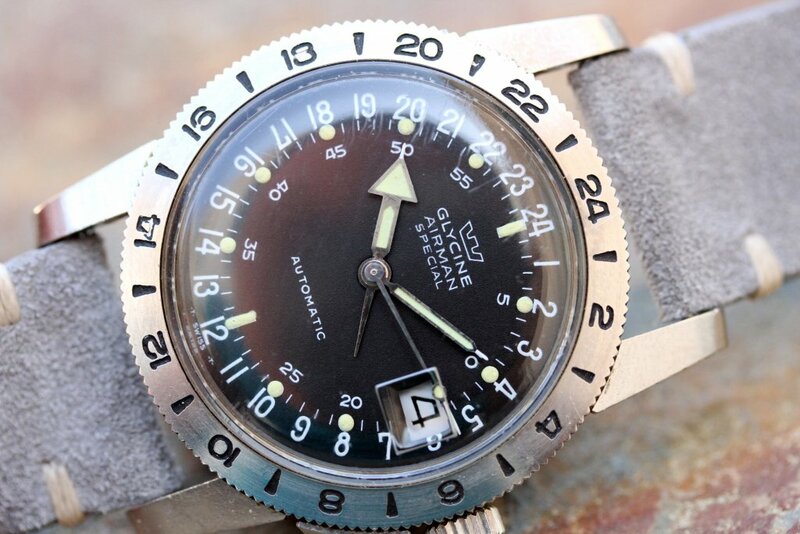 The Glycine Airman was another popular choice amongst U.S. pilots, being one of the only watches to feature a 24-hour dial and a GMT complication to track multiple time-zones (the GMT-Master did in fact have a GMT hand, but a more traditional 12-hour dial instead). 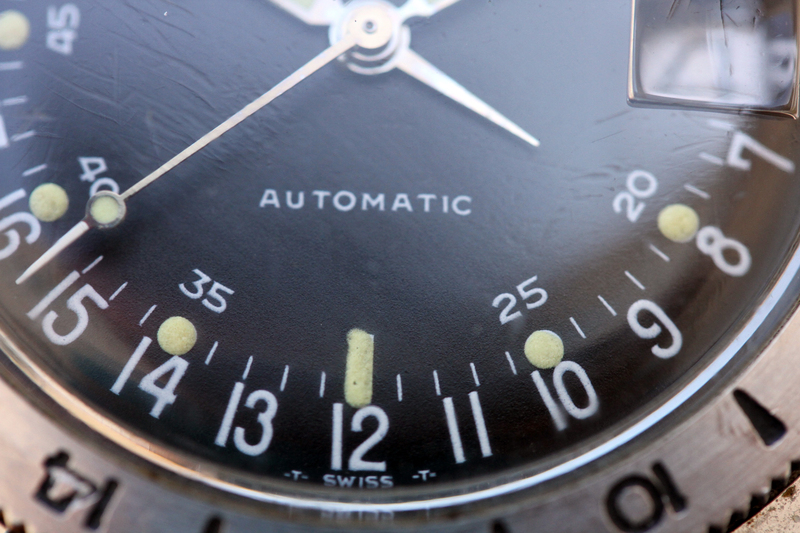 Of course, this was incredibly useful for pilots to coordinate between timezones home and abroad. The Glycine Airman Special is a modified version of the original Glycine Airman, containing a movement with only 17 jewels (vs. the 23 jewel movement of its predecessor). 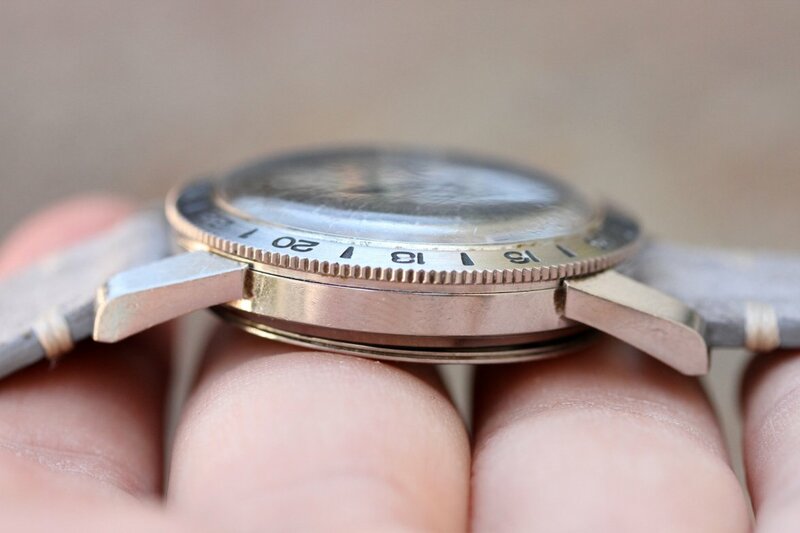 This was simply a creative way to avoid the tariffs placed on goods imported to the U.S. from foreign countries, and those found in other foreign markets have the more robust movement. 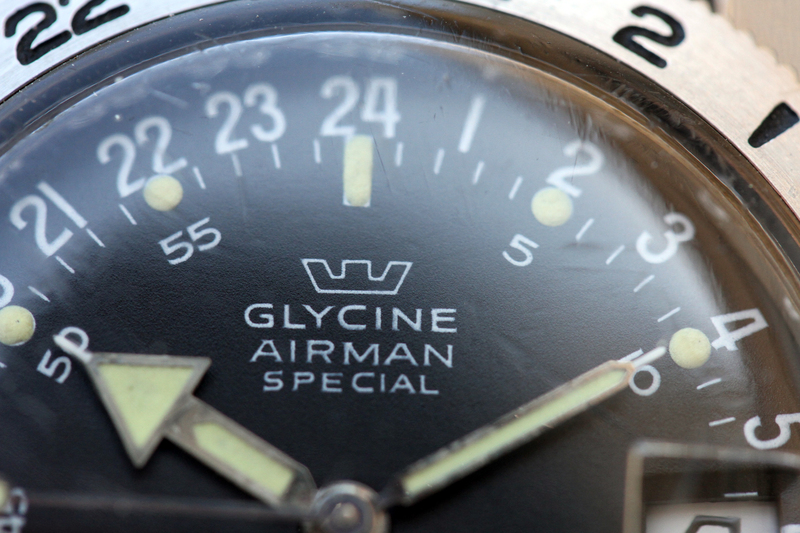 Another notable feature of the original Glycine Airman is the hacking mechanism. 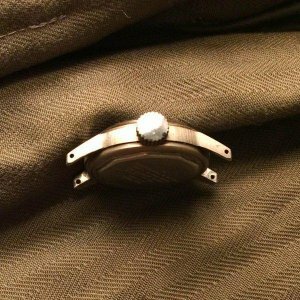 Unlike most hacking mechanisms, which stop the second hand as soon as the crown is pulled, the Airman was built completely differently. When the crown was engaged, the second hand would continue to sweep until it hit a wire that protruded out of the dial at 24. 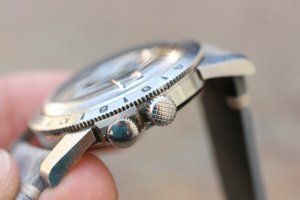 This allowed for incredibly precise time-setting, but forced to wearer to wait for up to 59 seconds to synchronize the watch. 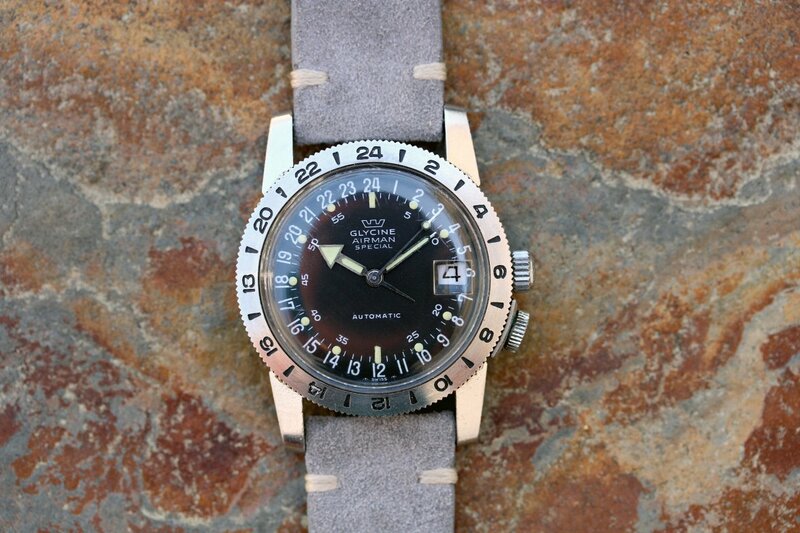 It’s worth double-checking the functionality of this system if purchasing a vintage Glycine, as it seems like a novel piece of engineering that might not hold up over decades of use. 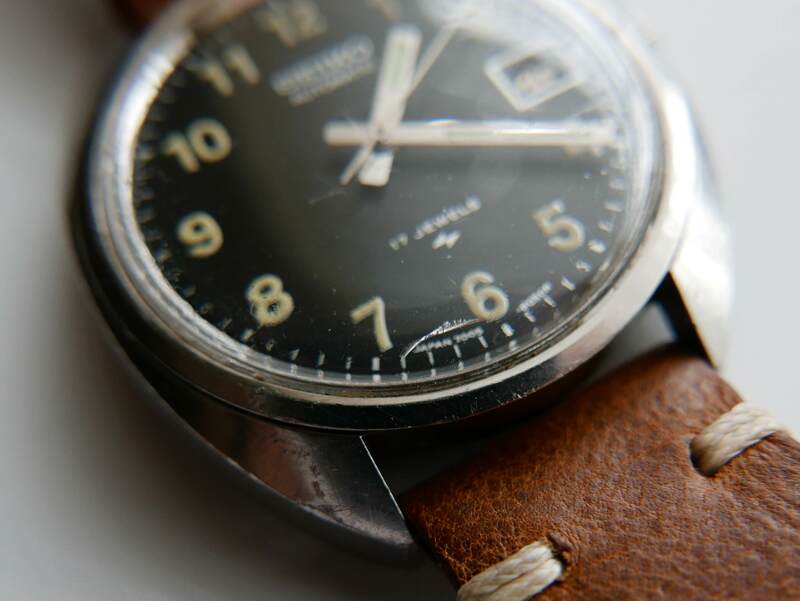 The Airman has been in continuous production since 1953, and modern watch enthusiasts can even purchase a faithful replica of the original with the Glycine Airman No. 1. Although the god-awful influence of the recent acquisition by Invicta can be seen in some new Airman designs, most models retain the iconic look of the original – let’s just hope it stays that way. 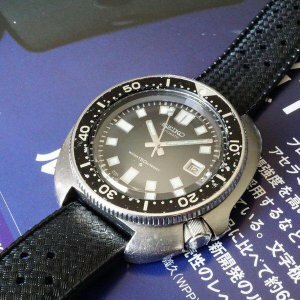 The Seiko 6105 is one of the most famous of the vintage Japanese Divers, worn by Captain Willard (Martin Sheen) in the Vietnam war movie Apocalypse Now. It was the second true 150m dive watch produced by Seiko, following up the original 62MAS – a legend in it’s own right. 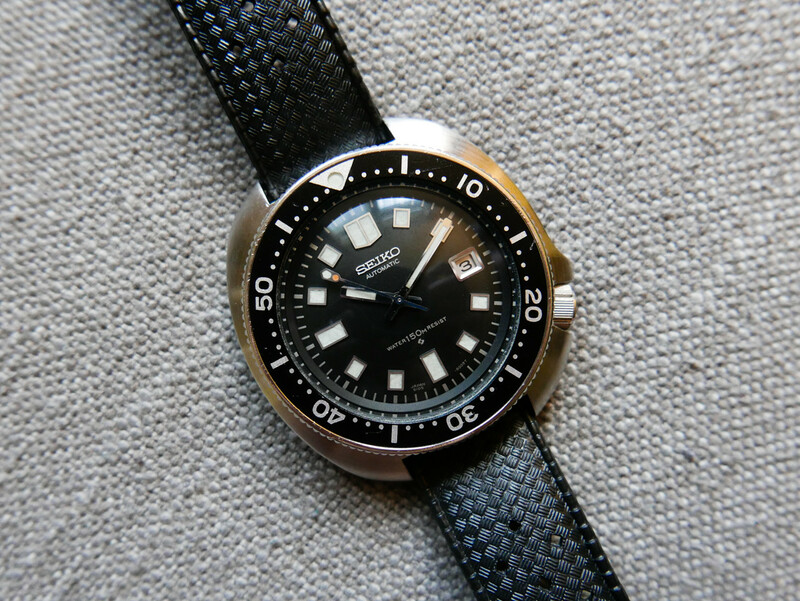 The cushion case design of this watch has influenced Seiko’s design DNA for years, including the much loved modern Seiko SRP777 (Turtle) and SKX007. 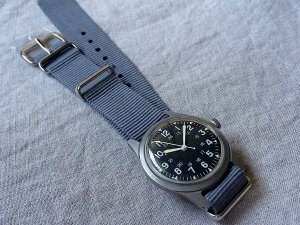 It’s supreme legibility, water resistance, and high-availability in Asia made it a top choice for troops looking to purchase a watch at the PX. The 6105 came in several known variations, with a symmetrical cushion case version in the 6105-8000 and 6105-8009 and a more unique asymmetrical case version in the 6105-8110. 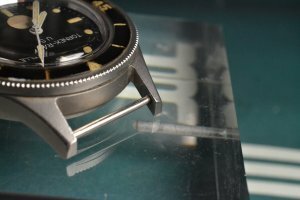 All three versions boasted 150 meters of water resistance, a bi-directional bezel for dive timing and large swaths of luminescent material for high visibility underwater. Vintage examples of this watch aren’t exactly rare, but the prices have skyrocketed in recent years. A watch that once could be obtained for around $500 is now going for over $1000, and finding one in good condition can be a challenge. 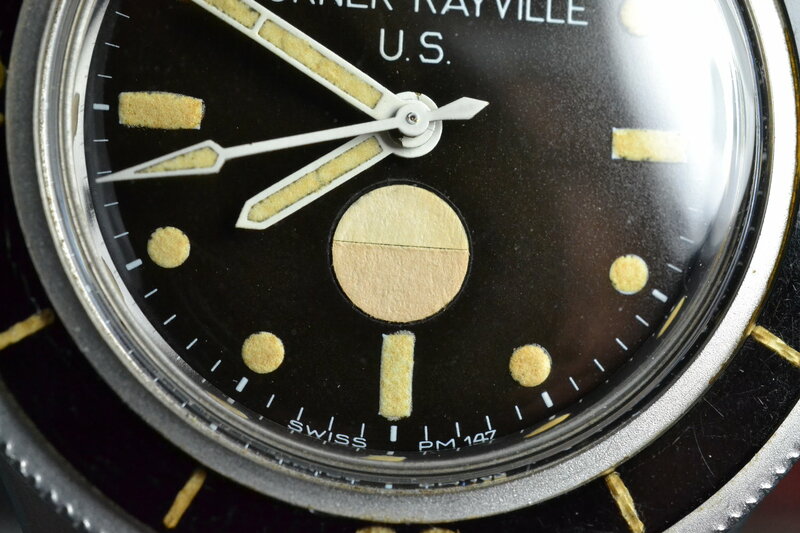 These watches are often afflicted with black mold on the markers that is nearly impossible to remove. Be on the lookout for incorrect or replacement handsets and dials, as refurbished versions of this model are plentiful and not worth the coin they are being offered for. 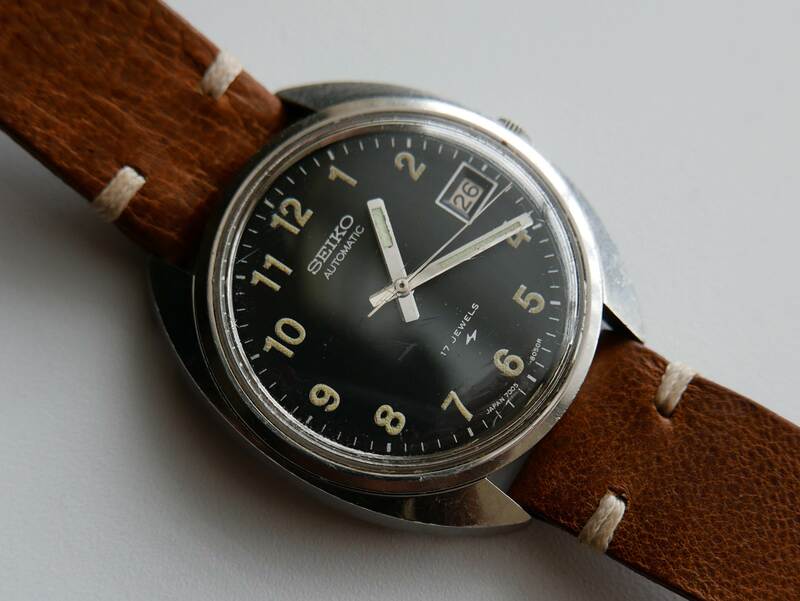 With that said, obtaining one looks to be a good investment, as the market for vintage Seiko watches appears to be steadily increasing. 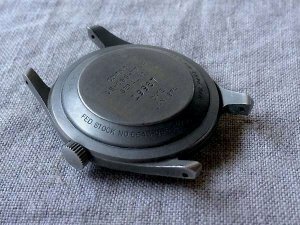 They aren’t making more of these, and quality supply will continue to dwindle. For those interested in military time-pieces, the Vietnam era can be an extremely interesting time-period to explore. Strict U.S. military collectors will find much interest in the dozens of mil-spec field watches while fans of more contemporary brands can explore the great vintage watches developed by Seiko, Zodiac, Glycine and others. 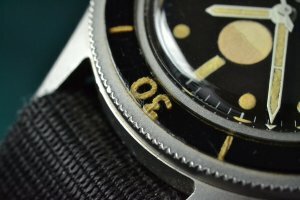 At the very least, learning about the history of these great watches can better help us better understand the modern watch landscape and the watches that influenced them. 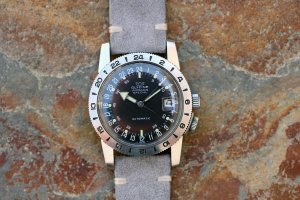 As the popularity of the “military style” watch and heritage influenced pieces continue to rise, there is no doubt that interest in the watches that inspired them will continue to grow as well. 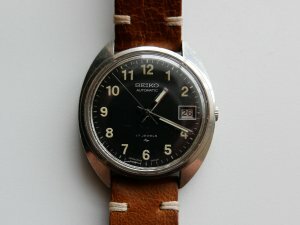 If you enjoyed this post, you might also be interested in A Brief Guide to the Iconic Military Watches of World War II. Very enjoyable read! 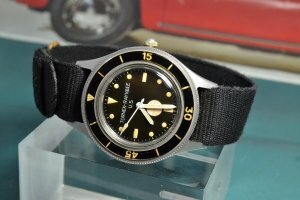 I have a friend that served in Viet Nam and he managed to acquire a nice collection of these military watches during his time there. The px was a regular but mostly from other soldiers by trading booze and smokes. 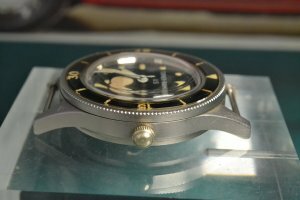 Over the years he has continued acquiring more and his collection now has dozens by various makers. Very helpful and interesting reading. Great fun. Good job! I may be wrong, but I was always under the assumption that SOG was an acronym for Studies and Observations Group, from MACV-SOG (Military Assistance Command, Vietnam, Studies and Observations Group). Since it WAS a special operations group from the Vietnam era, the assumption that SOG stands for Special Ops Group is an understandable one. Not to pick nits though, because this article was fantastically informative. What I’d do to get my hands on one of those Tornek-Rayvilles. Sadly, I’ll probably never even see one other than in pictures. how can i download the pdf file of the article? 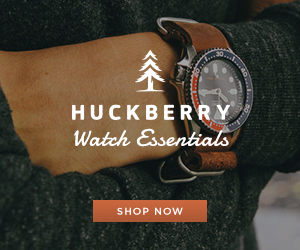 Excellent reading and very enjoyable..I found the watches described very well. 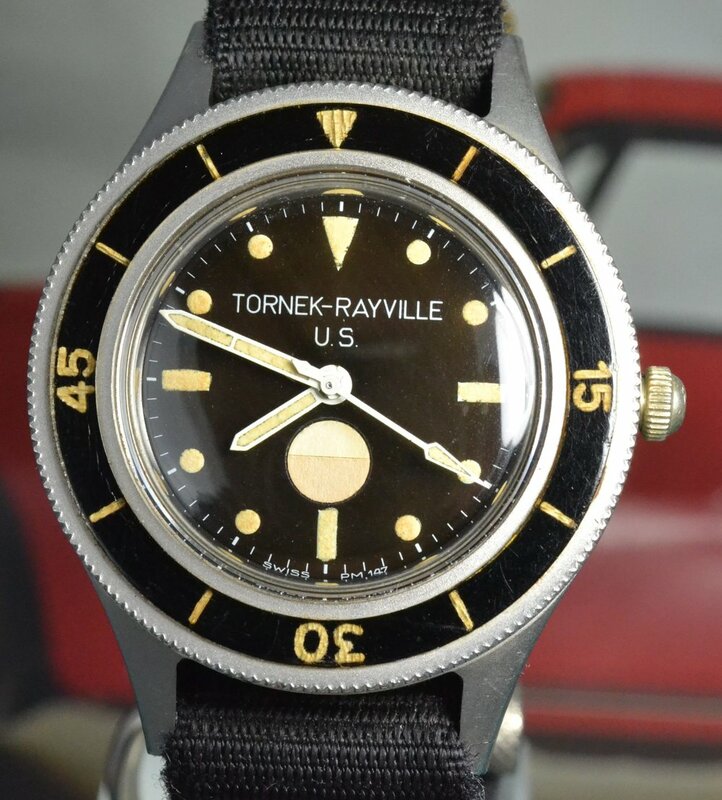 Only the Tornek is a watch I never had. 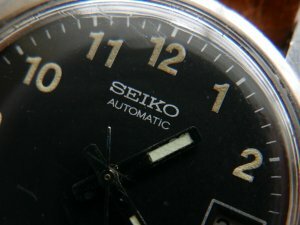 Still have the old Seiko 7005-8030..Although obtained a number of decades ago it still runs well having been to the watchmaker on a routine basis..